Jet-powered hover cars meet full-speed destruction derby chaos! Strap into the torn leather seat of an apocalyptic jet car and grind for your life! All that is left are jet engines, gravity rails, and glory at full-throttle. Capture the map by painting the rails while you grind. Slam your friends out of the ring or use the map itself to get the best of them. Each ship’s unique ability compliments play styles from defensive to aggressive. Team up or fend for yourself with 1-4 players across 18 maps and 3 game modes, with more coming soon. Collidalot proves there are no friends in the wasteland. 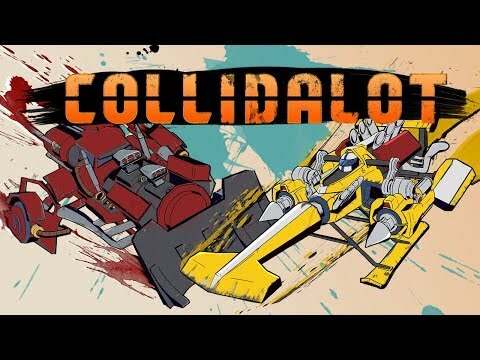 Collidalot was released on Switch 163d ago in the US and the UK.